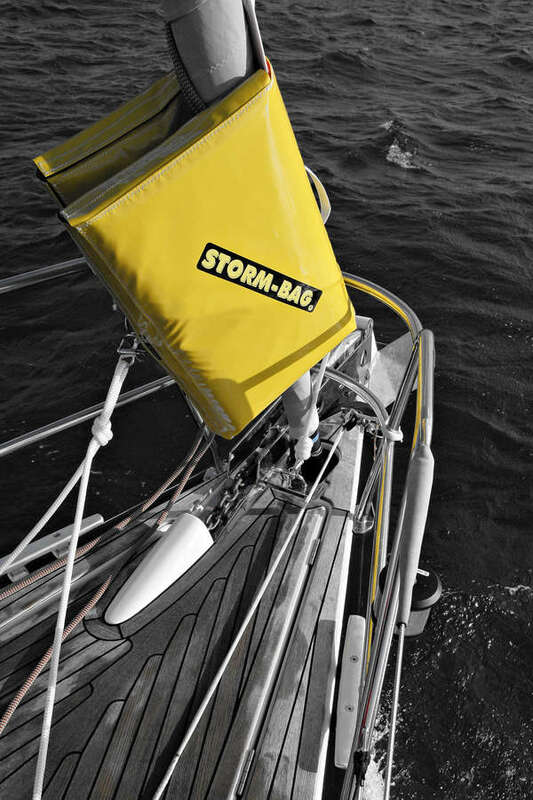 The Storm-bag is a storm jib designed for use on sailing vessels equipped with a furling genoa. 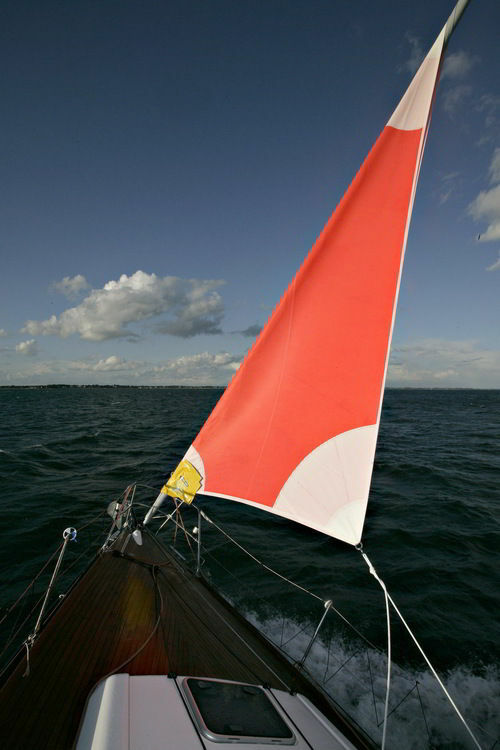 There is no need to remove the furling genoa. It consists of a double-skinned sail that folds around the furled genoa, the two separted clews joining together to form one. It has been developed for yachts with no inner forestay and avoids the expense and trouble of installing a removable baby-stay as well as offering a fast, safe and effective means of setting a storm jib with minimal fuss for all sailing vessels. The storm jib for furler is comprehensive, durable and compact – it consists of the bag, the sail, the sheets (complete with snap-shackle) and a tack strop, again with snap-shackle (wich can be clipped to the life-lines for security when moving to the fore deck). The Storm-bag comes ready to deploy. It can be used as often as necessary. When it is deployed its bag remains attached to the sail by its stitching – it stays inside the two plys, between the sail against chafe on the roller. If the storm conditions demand it, it can quickly be dropped on to the deck with all sheets and halyards attached. 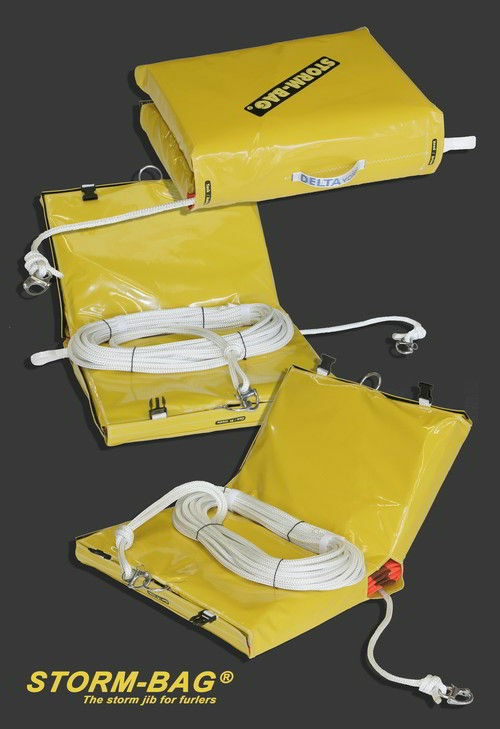 Once the storm has passed, the storm jib can be repacked in the bag, following the method indicated below ensuring a fast and safe deployment next time round.